In the months following the Custer massacres, the gold-mining town of Deadwood in the Dakota Territories was a lawless camp of crime and corruption. 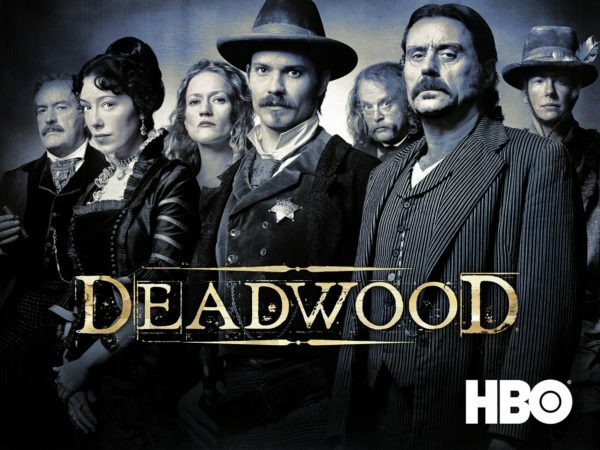 Killers came to Deadwood to rampage, fugitives came to hide, hustlers came to thrive, tradesmen and businessmen came to prosper. Many dreamers came from far and wide to reconnoiter their golden fortunes from the hills surrounding the town, but most of them ended up broke...or broken at the bottom of a creek-bed. Do you dare enter this treacherous world of killers and charlatans in search of your own fortune? Difficulty: This game will be complex because of the numerous roles which will feature, however these roles and the mechanics involved will be explained to all in the game's OP. The game was hopefully designed for any level of player; veterans, brand news, Deadwood fans, players who are only hearing about Deadwood now for the first time, we aim to make it enjoyable and accessible to all. Given the source material though, this game does feature themes of an adult nature. Game mods: Stu Redman, sKeith, quickbeam and deconduo. This game will be played with anon accounts and will end by the Friday evening of game-week. If you would like to play, please post your intention in this thread and also your preference on whether to start this game on Sunday April 14th or 21st. Last edited by Pter; 16-04-2019 at 09:05. Oh I’m in for this. I don’t care about the date. Im good the first date, not so much the second date.